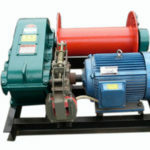 A spooling winch is a winch with spooling device that is used to guide the spooling of the cable, and keep the cable nice and even without getting stuck. No matter what the winch is used for, the spooling device can facilitate the installation and removal of cable or rope from the winch drum. 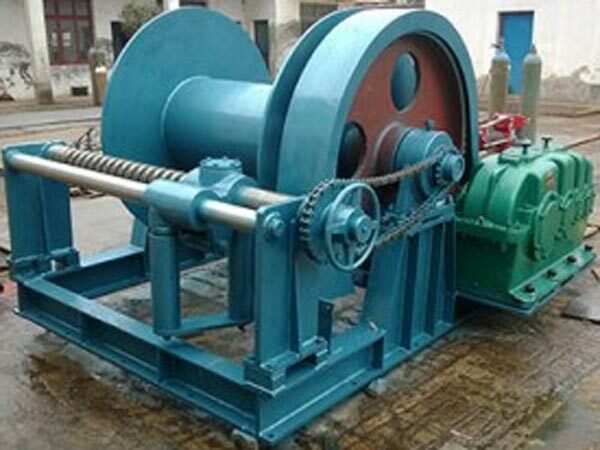 The spooling winch can be categorized into electric spooling winch, hydraulic spooling winch, pneumatic winch and diesel winch according to different power modes adopted. 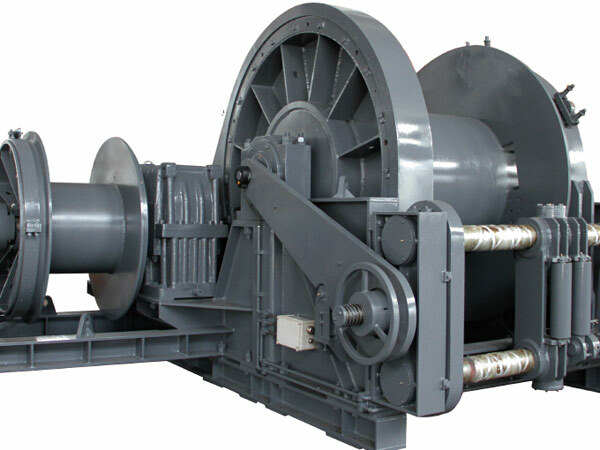 The winches can be designed with one, two or more drums in accordance with various work needs. The spooling windlass can accept different diameter shafts in order to match with various reel weights. 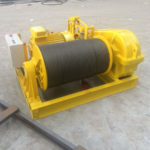 Spooling winches can be used both for onshore and offshore operations, and the winch spooling device is specially applied for even coiling and uncoiling of wire rope. 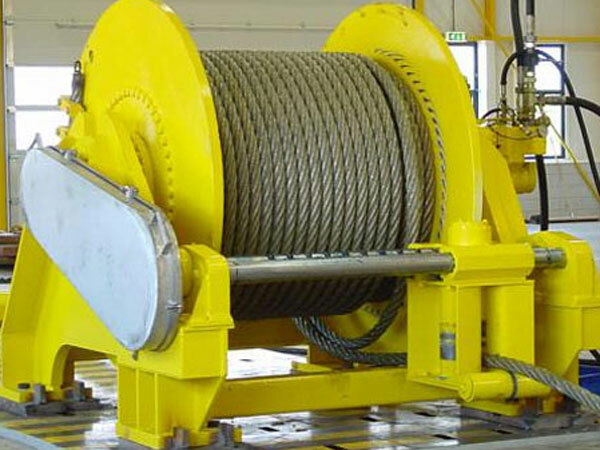 If the wire rope lay is not correct, or the load on the winch is too light, or the first layer of the wire rope on the winch drum is not correct, the wire rope may not spool evenly and orderly on the drum. 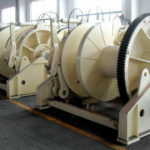 To make sure the smooth spooling of the rope, the rope diameter should be suitable for the groove pitch, and the rope should stay in the grooves in the first layer during the spooling operations. If the rope gets worn, its diameter will reduce. 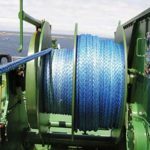 The rope will not spool correctly on the winch if the fleet angle is too small or too large, which may cause mis-spooling. 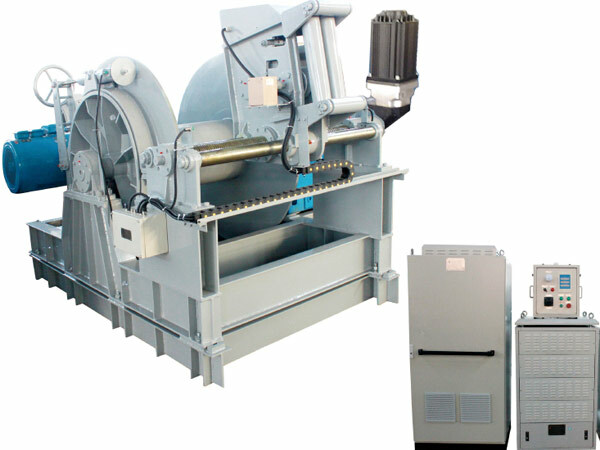 Many kinds of winches can be equipped with spooling device to facilitate the rope spooling during the operations, such as marine anchor winch, mooring winch and towing winch. 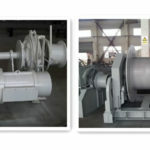 The spooling winches are used on different occasions and smooth spooling of cable on the winch drum is important to prolong the service life of the cable. 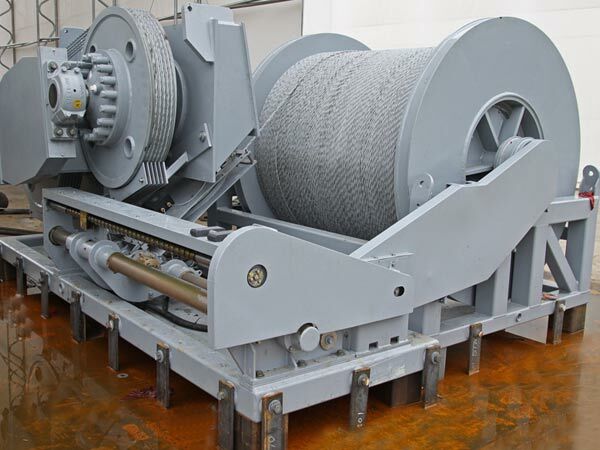 Our spooling winch is with good spool device which will ensure the smooth and even spooling of the rope on the winch. 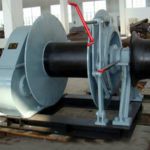 To get details about Ellsen spooling windlass for sale, just feel free to send us your inquiry and we will reply you as soon as we can.